Turn your regular ramrod into a working range rod with the addition of TC's lightweight Composite T-handle Short Starter and Extended Super Jag. Add both tools to increase the length of the rod substantially while also providing more leverage and power. 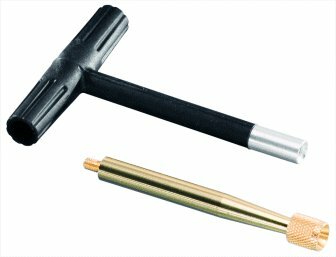 The knurled jag also provides maximum contact and surface area between the patch and bore.